Welcome to the News page for the Southern Region, which includes the counties of Kent, Sussex, Surrey, Hampshire, Berkshire, Buckinghmashire, Wiltshire, Oxfordshire and London. Barley Gould (Isle of Wight) - Chair, Daphne Rice (Sussex), Fiona Gordon (Maidstone, Kent), Gareth Jones (Stockbridge, Hants), Lesley Pope (Pembury, Kent). 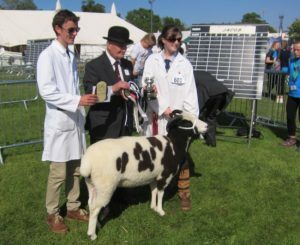 I hope you have all had a good lambing, I have had several emails from the southern region shows they all now have there entries open so if you have any fabulous lambs, there is no time like the present to enter them. DATES AND DETAILS BELOW. I have was recommended by the Judges for our flock competition a product called cheviot foot paste , it is a thick paste for applying to hooves of limping sheep . I have used it quite a bit this winter, as it's a paste not a spray it is still there the next day. I fill the cavity that you have cleaned the mud from, with it. There is always one of those! I have had far less persistent limpers since I have given it a go so I would recommend it! It's available from www.animalmedicationdirect.co.uk and costs about £15. Delivered. Here are the final details for our Open day. As advertised in the spring Journal. Visit to Barley's flock here on the Isle of Wight. We shall meet at my flock which Graze behind Argos. Newport Isle of Wight. Postcode. PO30 5LG. To view my small flock,and for coffee. I have lambed early for me this year, as I have left my ram in with his flock since November 2015 , and I remove the ewe lambs when they are 4 months old. 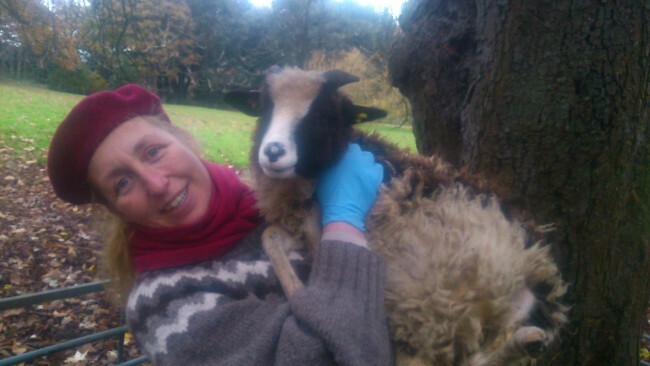 I only have one field and it's easier to find grazing for cute ewe lambs not grumpy ram's. Also in 2015 I had problems with dogs. And none now Jack is in residence. Then we adjourn to the Carisbrooke church hall where we shall have a buffet lunch at 12 :30 Please advise me of any dietary requirements. Sadly the car park is only free for one hour. After lunch you are welcome to visit Carisbrooke castle www.english-heritage.org.uk . It is about £10. To enter or free for English heritage members. 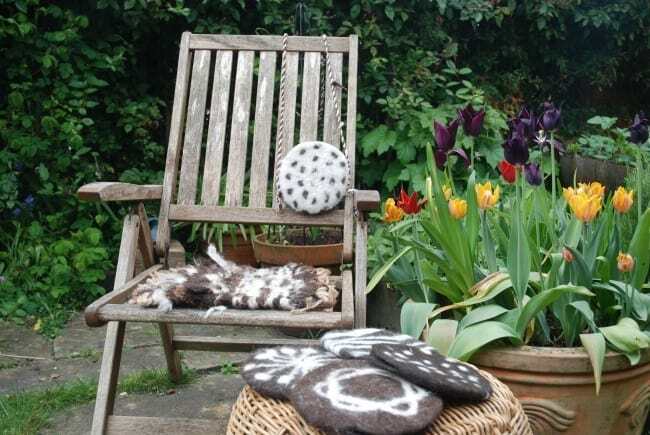 Or stay for a felting / peglooming workshop. We have two options either a small bag felt or a small peg loomed chair cushion.pictured above. One of which will you should be able in under 2 hours. We will have cream tea at the end of the day 4pm. The cost will be £10 per person for the lunch and £5. Per wooly item. Please email me before the 10th of May. if you wish to come. I have not done anything with regards to the ferry both www.redfunnel.co.uk and www.wightlink.co.uk have good websites and have offers on their day returns usually they are better offers if you have a full car. I have tried to book groups before and I am afraid it is not worth the trouble. If you plan to stay longer on the Isle of Wight, most hotels and B+B's have an arrangement with the ferry companies, and can get you a deal. visit www.visitisleofwight.co.uk. ALL SHOW HAVE WEBSITES AND YOU CAN ENTER ONLINE.